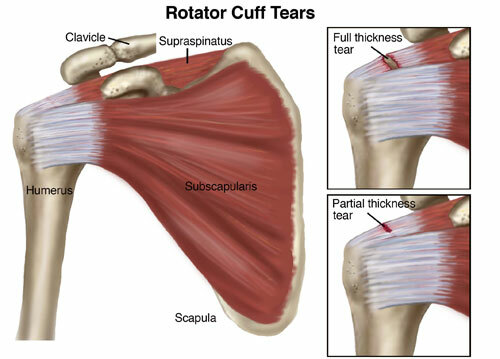 The rotator cuff is made up of four muscles that help move and stabilize the shoulder joint. Damage to any or all of the four muscles and the ligaments that attach these muscles to bone can occur because of acute injury, chronic overuse, or gradualaging. This damage can cause significant pain and disability with range of motion and use of the shoulder joint. Pain and spasm limit the range of motion of the shoulder.